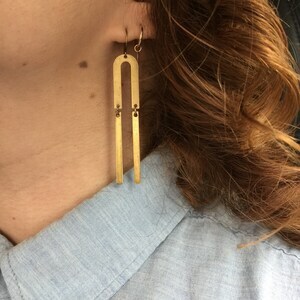 The Properly Pyrite Pendulums are my favorite bold lines of simple style. 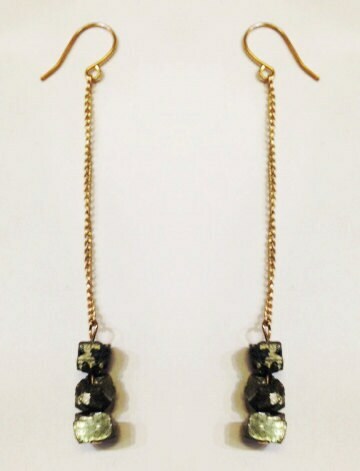 The raw pyrite on the bottom keeps them swinging! 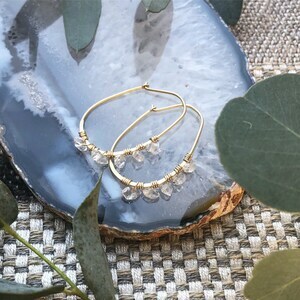 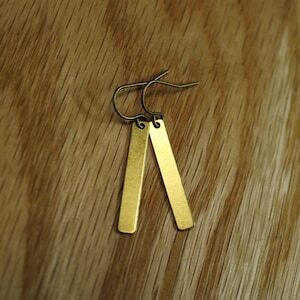 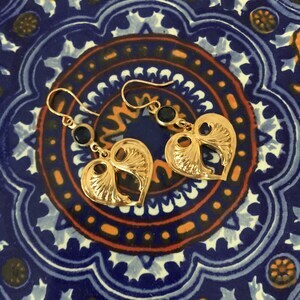 The earrings drop about 2 1/2" long on gold dipped chain.